Married couples with substantial estates have plenty of things to be happy about with the Tax Cuts and Jobs Act. The new law clarified that the federal estate and gift tax exemption at $11.4 million for 2019; meaning that annual inflation adjustments will also apply between 2020 and 2025. For married couples that amount is doubled. Taxable estates that go beyond that exemption amount will have the excess amount taxed at a flat 40% rate. Taxable gifts will also be taxed at the same 40% rate if they exceed the annual federal gift tax exclusion. The 2009 federal gift tax exclusion amount is $15,000. In many cases, there may not be a federal estate tax due even if both spouses passed away in the same year. 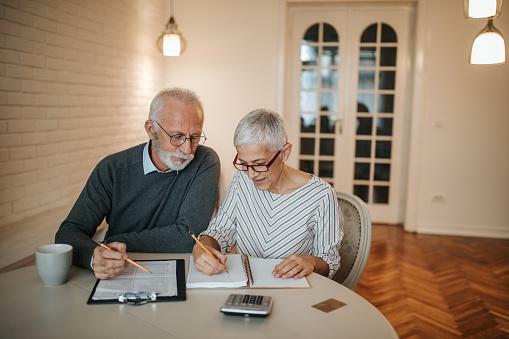 The spouses together throughout 2019 are eligible to leave up to $11.4 million to children and other beneficiaries without triggering any federal estate tax or having to initiate any strategic and planning moves for that result. So long as the spouse is a US citizen, an unlimited amount can be gifted to him or her while alive as well as an unlimited amount through a bequest without any federal estate or gift tax so long as this is passed away on your death. For more questions about protecting your loved ones while planning for an estate, schedule a consultation with an estate planning lawyer today.